These are the words of Dr. Marsh, whose messy divorce from Dr. Nigel Channing fractured the Dino Imagination Institute into separate, disparate entities. She introduced the Time Rover to us back in 1998, and time travelling hasn’t been the same since. 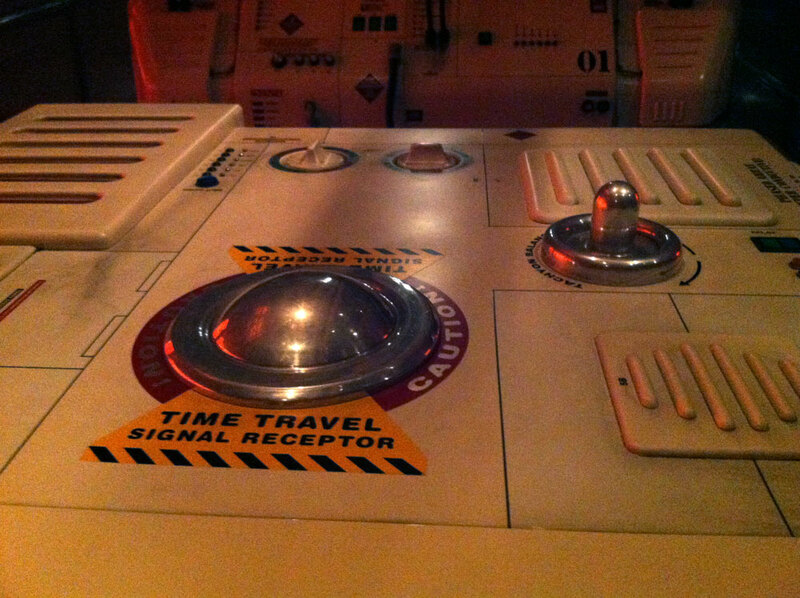 The machine is clearly complex, full of buttons and dials and time displacement fields. It’s so advanced, it doesn’t even need to rotate backwards for our return to Earth. For the longest time, I’ve always wondered what powered the Time Rover. The answer always seemed to be on the tip of my tongue, but I could never put my finger on it, probably because it’s bad manners to stick your fingers in your mouth. After my last ride on Dinosaur, sitting in the front row, I think I have finally figured it out. Time Rovers float on a bed of air, and are prone to being knocked about at great speeds. Why do I say this? Because of the equipment. I think that dial on the left is the turn signal. Time Rover drivers are trained to climb onto the hood whenever they need to change lanes. This is the hood of the Time Rover, and unlike most cars, it features dials and switches on the outside. This revolutionary design takes advantage of the fact that it is highly unlikely that a prehistoric reptile might burst out of the bushes and accidentally kick one of the buttons. Not gonna happen. Also, note the lesson learned from the iPhone 4. Antenna on the outside, people. But what is that weird silver thing on the upper right? For years, it has bothered me, but then — at some point in the middle of the ride, between the vegetarian dino and the loss of traction — it finally hit me. I know what that thing is. Evasive maneuvers! Left! Right! Left! Right! Don’t tell me that thing’s not an air hockey paddle. I love the idea of a time travelling jeep that transforms itself into a table game during the downtimes when you’re stuck in a meteor shower. Maybe even teach the Carnotaurus how to play. You’d smoke him for sure, with those stubby arms of his. This entry was posted in Disney Theme Park Hidden Secrets and tagged Animal Kingdom, Dinosaur. Bookmark the permalink. That and the washing machine knobs on the top left. I am a fan of the washing machine knobs also. Another spin cycle coming up! Every time that I ride Dinosoar I look at this and have always pictured an air hockey paddle! I have to of course point it out to my wife every trip. Ha! It does look exactly like a video game trackball! So apparently, Imagineering got hold of an old arcade warehouse and just started throwing parts together. The Time Travel Signal Receptor ball is also an old arcade gaming interface from the 1978 Atari Football console! 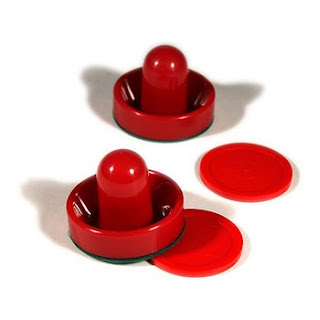 I remember we’d whack-roll those trackballs so hard they’d make a kind of grinding noise as the bearings wore out from the abuse of trying to get a player down field.